Katherine Fisher is on the faculty of the Athens Community Music School at Ohio University in Athens, Ohio. Her responsibilities include teaching private piano lessons as well as coordinating the Piano Safari Program (group lessons) for children who are beginners at the instrument. Katherine Fisher and Dr. Julie Knerr developed the Piano Safari Method during their time in school together at the University of Oklahoma. While graduate students, they realized they had a mutual dream of writing a piano method that would incorporate the best elements of the various techniques they had been using in their teaching. Katherine is a member of the Fisher Piano Duo with husband, Dr. Christopher Fisher. The duo has performed throughout the United States. They are co-authors of the revised and expanded edition of Piano Duet Repertoire (Indiana University Press, 2016). A native of Ohio, Katherine received her degrees from the University of Oklahoma (MM in Piano Performance and Pedagogy) and the Wheaton College Conservatory of Music (BM in Piano Performance). Her former teachers include Jeongwon Ham, Jane Magrath, Barbara Fast, Karin R. Edwards, and Nancy Bachus. Dr. Julie Knerr teaches piano at her home studio in Windsor, Connecticut. She was formerly on the piano faculty at the Hartt Community Division in West Hartford, Connecticut. Before returning to her home state of Connecticut, Julie taught applied piano, piano pedagogy, and group piano as a faculty member at the University of Missouri, Oklahoma City University, and Ohio University. 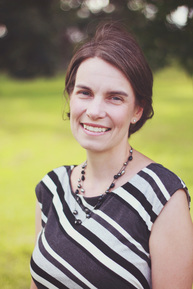 Julie holds a PhD in Music Education with an Emphasis in Piano Pedagogy from the University of Oklahoma, where her dissertation on elementary level piano technique was nominated for the Best PhD Dissertation Award in 2006. Additional degrees include MM degrees in Piano Performance and Piano Pedagogy from the University of Illinois at Urbana-Champaign, where Dr. Knerr studied piano and harpsichord; and a BM in Piano Performance from the University of Puget Sound. Her mentors in Piano Pedagogy include Jane Magrath, Barbara Fast, Christos Tsitsaros, and Reid Alexander. 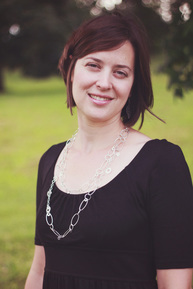 As an accomplished collaborative pianist, Julie enjoys performing with both instrumentalists and singers. Her former piano teachers include Duane Hulbert, James Barbagallo, William Heiles, Timothy Ehlen, and Edward Gates. Julie is a frequent adjudicator at festivals and competitions throughout the United States. Her current research interests include elementary level piano technique, lesser known pre-college piano repertoire, and group piano pedagogy. To learn more about Piano Safari, please see our core method products page.